Human Apo CI ELISA Kit | Cell Biolabs, Inc. The Human ApoCI ELISA Kit is an enzyme immunoassay developed for the detection and quantitation of human apolipoprotein in plasma, serum or other biological fluid samples. Each kit provides sufficient reagents to perform up to 96 assays including standard curve and unknown samples. 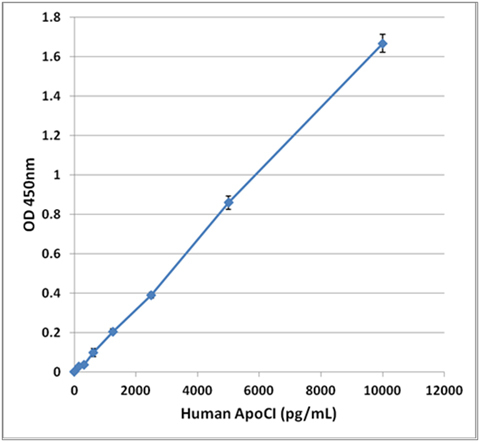 Figure 1: Human ApoCI ELISA Standard Curve. Lee, J. Y. et al. (2014). Apolipoprotein E likely contributes to a maturation step of infectious hepatitis C virus particles and interacts with viral envelope glycoproteins. J Virol. 88:12422-12437.